Aikatsu! – 103 | Mezashite! They are wasting no time getting into the Romance Story theme for this season. The late post is because my account decided to commit sudoku for no reason last night. 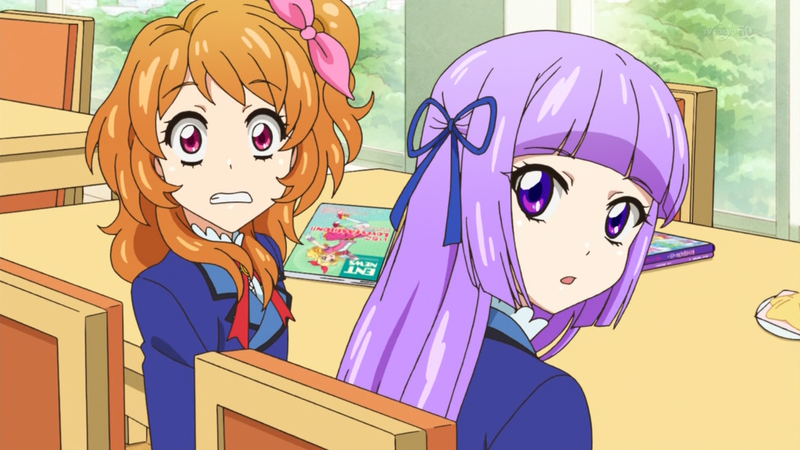 “Ichigo stops cockblocking Akari in the intro” is my new Aikatsu Bingo sheet tile. Seems I’m finally able to post comments again, for some strange reason wordpress wasn’t letting me post here for nearly 2 weeks.